Submit Comment for Fulltime RV Living - Road Schooling Your Children! Fulltime RV Living - Road Schooling Your Children! 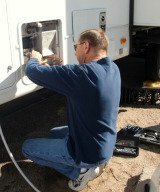 Return to Fulltime RV Living - Road Schooling Your Children!.